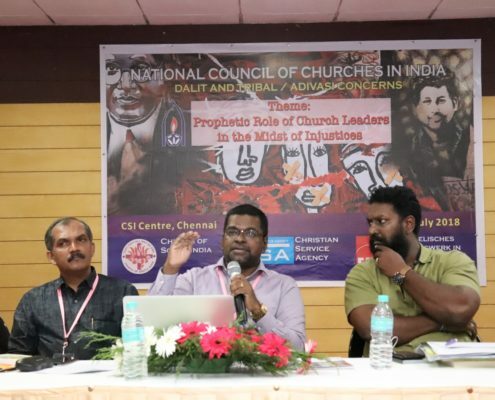 The Church cannot be dumbfound towards the precarious issues faced by Dalits, Tribals and Adivasis as they have been ostracized from the historical accounts by the dominant historians and writers of ancient Indian history. 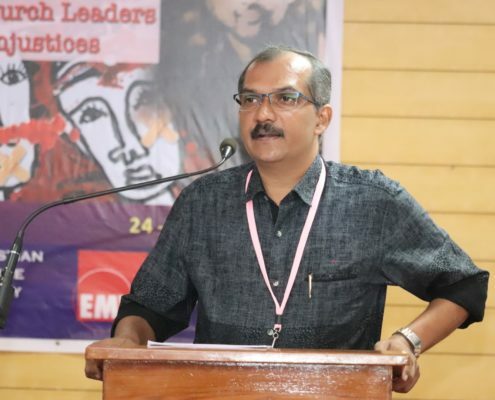 The need of the hour therefore, in contemporary times, is to listen to the people from the margins, about their struggles and the difficulties they go through in the times when people make pseudo claims about the progress of India towards building a more egalitarian society. The so-called progress is just a small dot on a blank canvas, on which the complete portrait is yet to emerge. 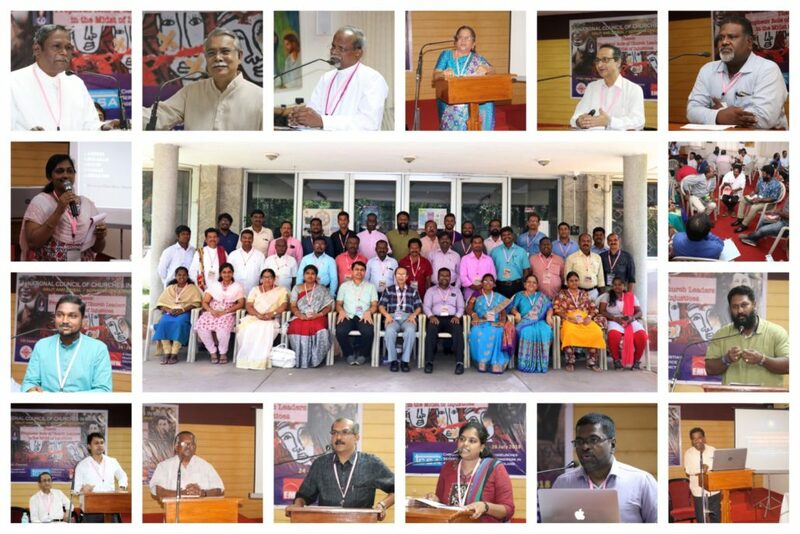 Therefore, a thought provoking response addressing the issues of people from the margins could be a substantial form of help provided by the Church and its leaders to their parishes which could consolidate them in bringing an effective change in the lives of the people from the margins. 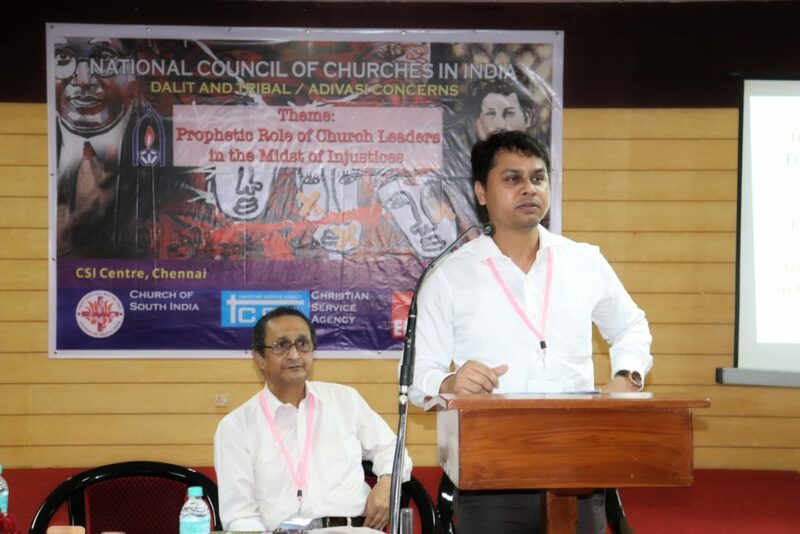 In order to make the Church leaders of NCCI Member Churches, Regional Councils and All-India Christian organizations who are involved in working with Dalits and Tribals/ Adivasis, well acquainted with the new developing forms of oppression and resistance, NCCI – Dalit and Tribal/Adivasi Concerns, in partnership with EMW Germany, Christian Service Agency and Church of South India (CSI) organized a three days consultation for Southern region of India on the theme “Prophetic Role of Church Leaders in the midst of Injustices” from 24th – 26th July 2018 at CSI Centre, Royapettah, Chennai. 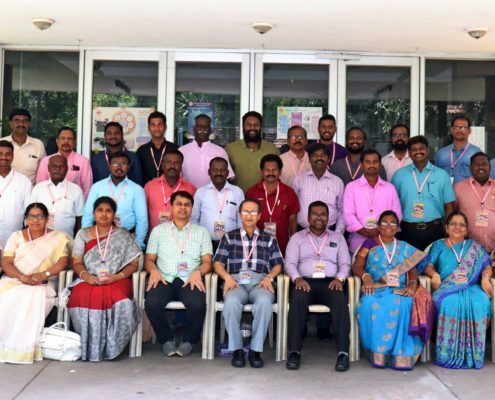 A total of 46 church leaders from 7 member Churches, 3 Regional Councils and 1 Christian Organisation addressed the issues of marginalized people in South India. 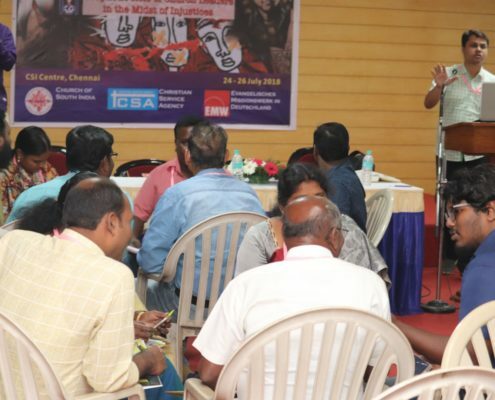 The three day Consultation was a time of thorough reflections facilitated by the Resource Persons through Biblical and contextual interpretations and events highlighting the issues of the Dalits, Tribals and Adivasis. 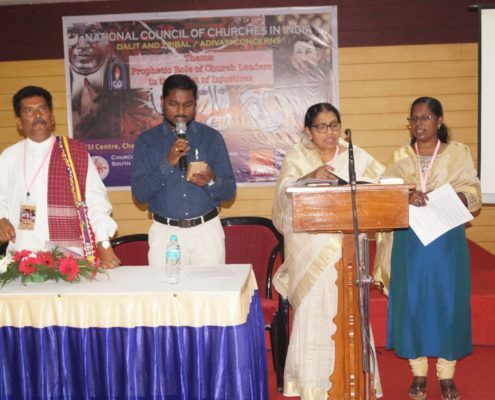 The first day marked the opening of the Consultation with the meaningful and participatory Inaugural Worship led by Mr. Pradip Bansrior, Executive Secretary- Dalit and Tribal/ Adivasi Concern, NCCI and the Biblical reflection was delivered by Rev. 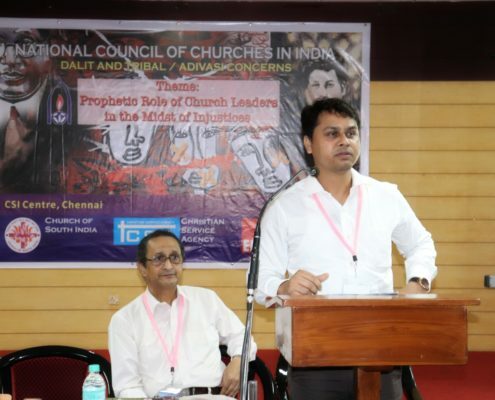 Dr. A. G. Augustine Jeyakumar, Executive Secretary- UELCI and Treasurer- NCCI, accentuating the reading from Amos 5:18-25 which highlighted the responsibilities which were given by God to Prophet Amos in the times when they were backsliding from the teaching given by God through prophets. Rev. 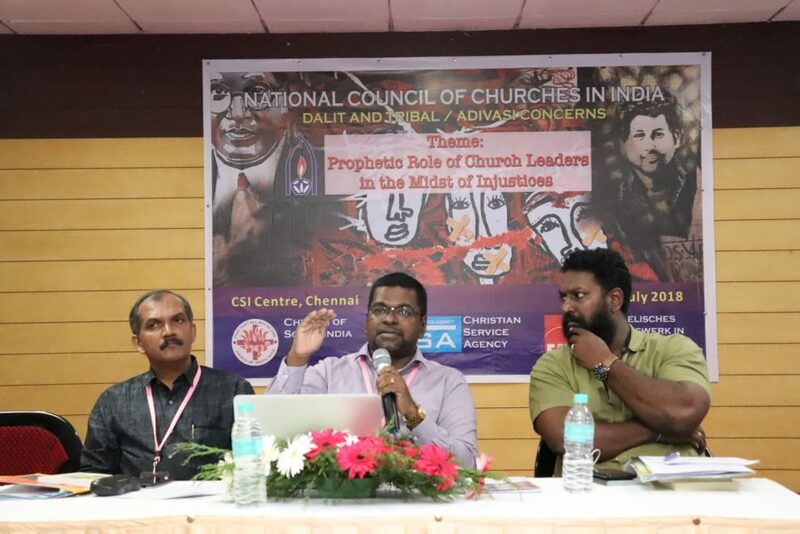 Dr. Jeyakumar highlighted the similar ways and the significant responsibility of the church leaders in leading the people in forming a just and inclusive society where people could live and create space for other communities to reside with them. The felicitation message was given by Rt. Rev. 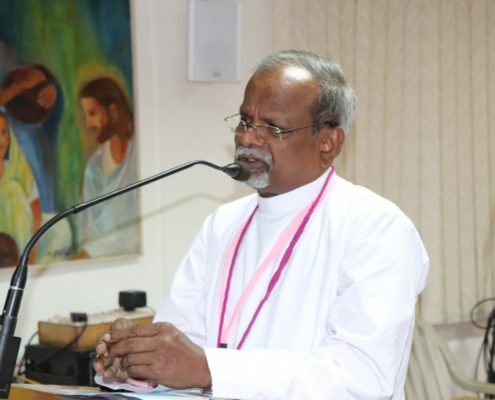 Dr. Jayaraj George Stephen, Bishop of Diocese of Madras and Chairperson – Dept. 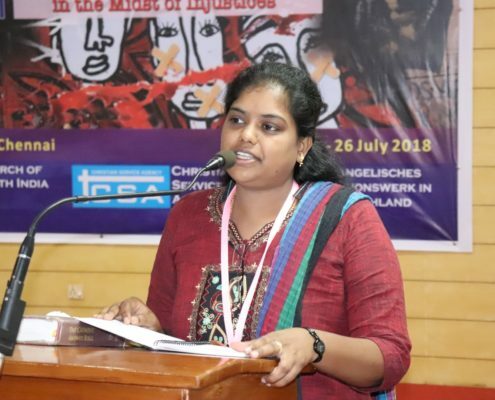 of Dalit and Adivasi Concerns, CSI Synod. 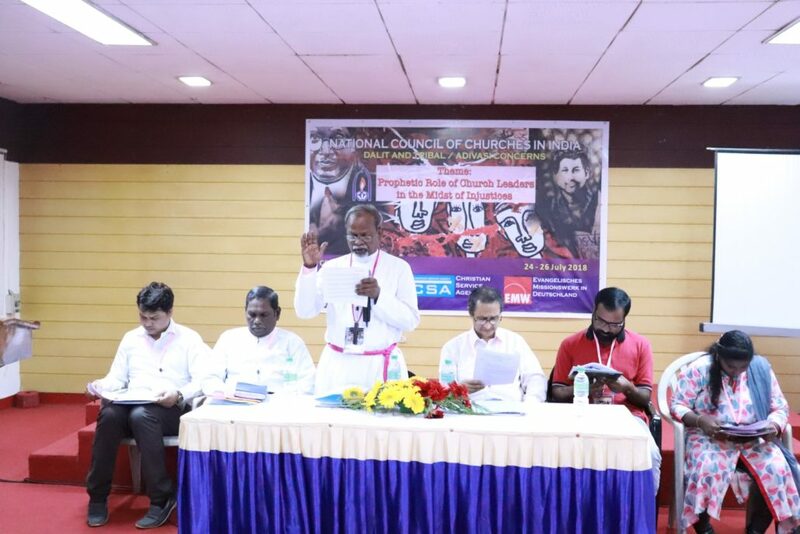 He defined the role of the Church, Church leaders and the congregation to be more sensitive towards the issues faced by the people from the margins. 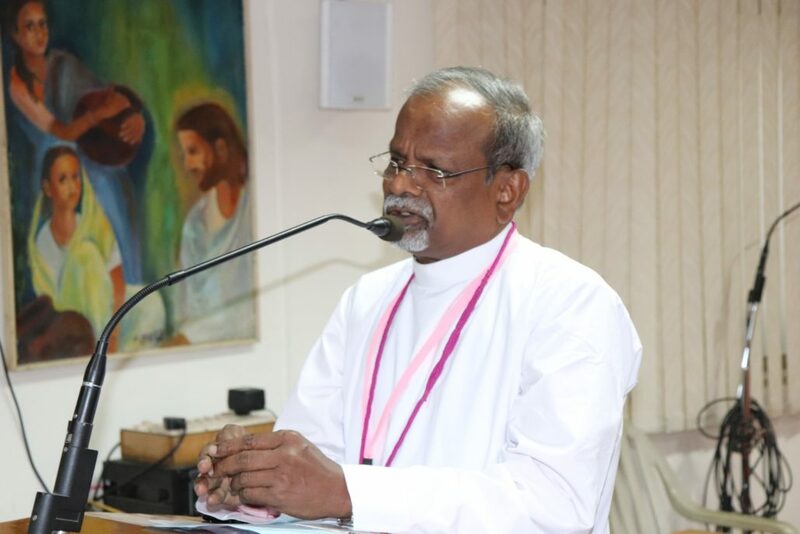 Bishop Jayaraj reminded from the words of St. Paul to Galatians in Gal. 3:28, about creating an egalitarian or a community of equals without segregation. 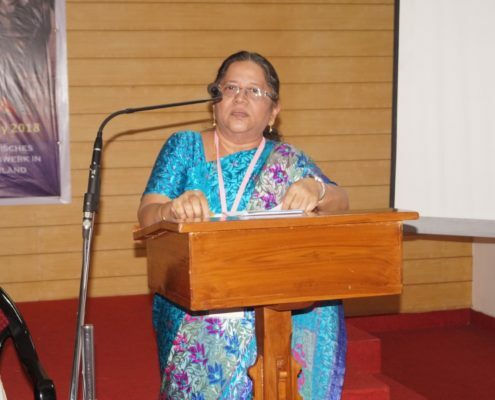 The Key Note address was delivered by Rev. 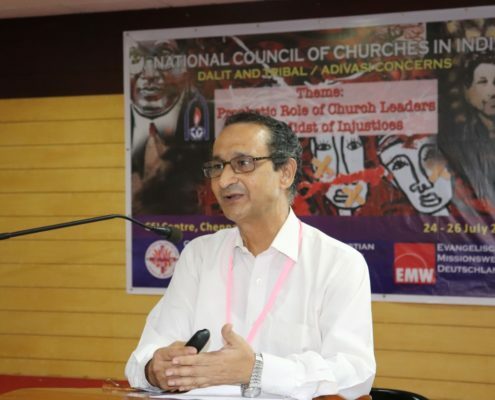 Dr. Roger Gaikwad, General Secretary-NCCI. He referred Luke 4:18-19, the Nazareth Manifesto and articulated it as the base line for the plan of action. 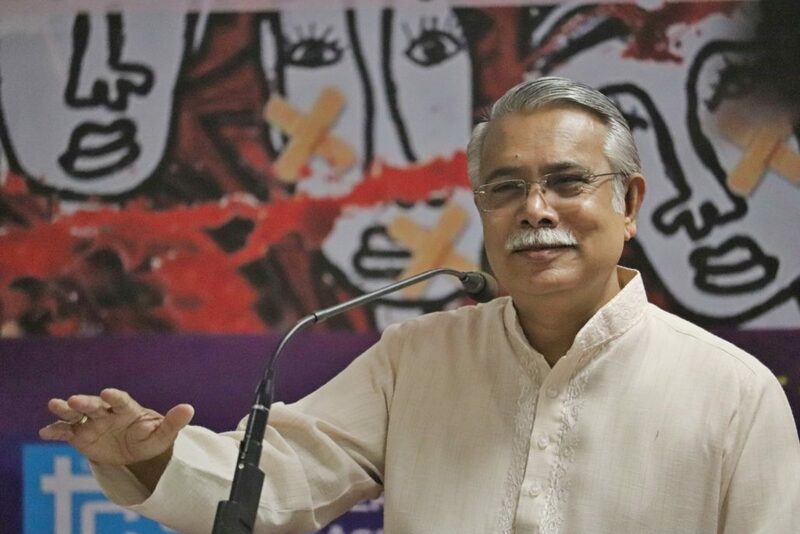 In his brief and precise presentation, he highlighted the socio-political, economic, cultural and legal condition of subalterns in India. The modus operandi of the atrocities carried out on the subjugated populace was explained in details. 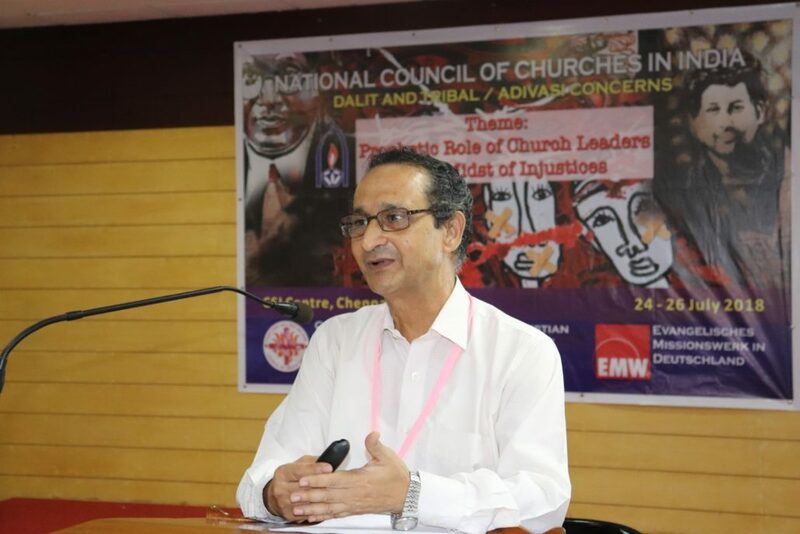 He emphasized the empowerment strategies executed by different National Church Organizations over the years. He mentioned that churches, church leaders and the congregation needs to be more sensitive and to be aware of the various degrees of violation done on the people from the margins in order to understand the veracity of problems faced by them. 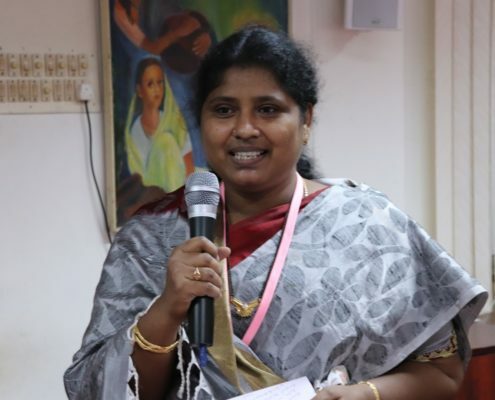 The prophetic role traditionally involves forth telling and foretelling but today we need to go one step ahead as it requires facilitating the protection of rights of Dalit and Adivasis for a dignified life. 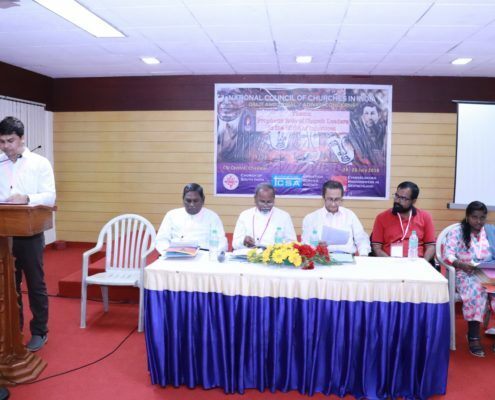 The first day panel discussion on the topic Insight from the life and History of Dalit and Tribal Church were presented by Rev. Samuel Logan and Rev. 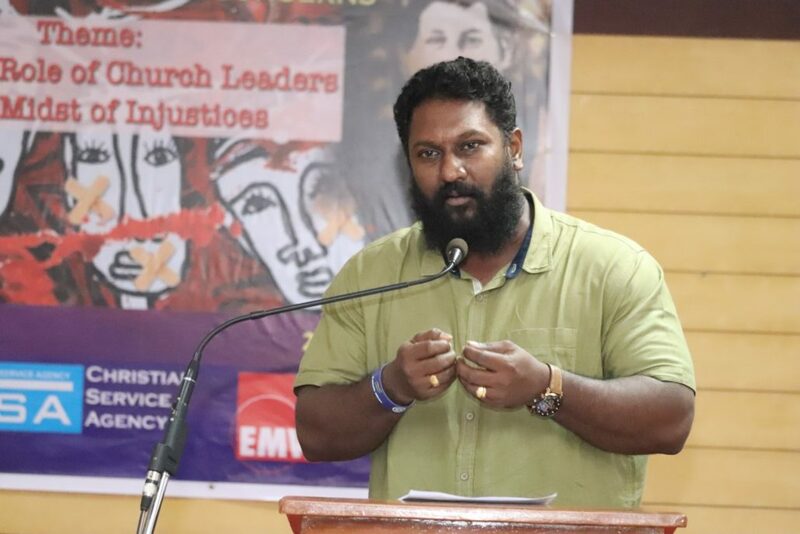 Biju Joseph. Rev. 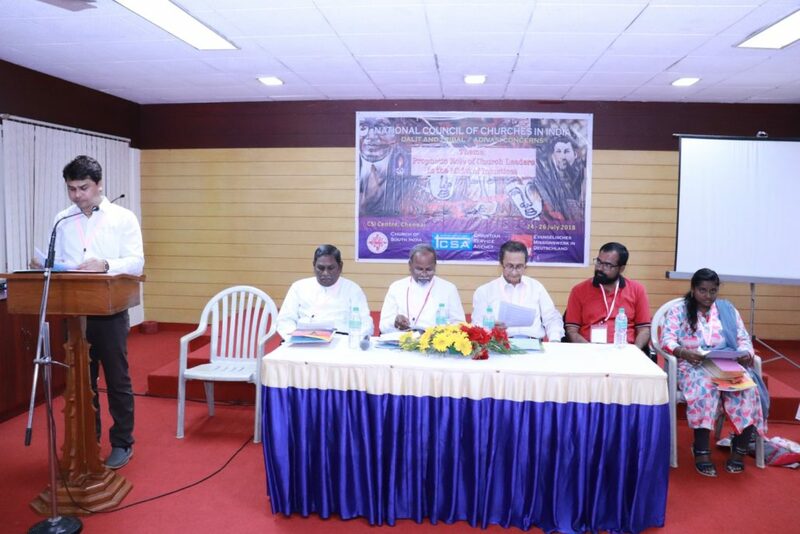 Samuel Logan, gave a succinct history of the sprouting years of the Arcot Lutheran Church in his narration and highlighted the efforts taken by the Danish Missionary Society and its missionaries towards evangelism and sharing of the word in the caste dominion parts of Southern regions of India. 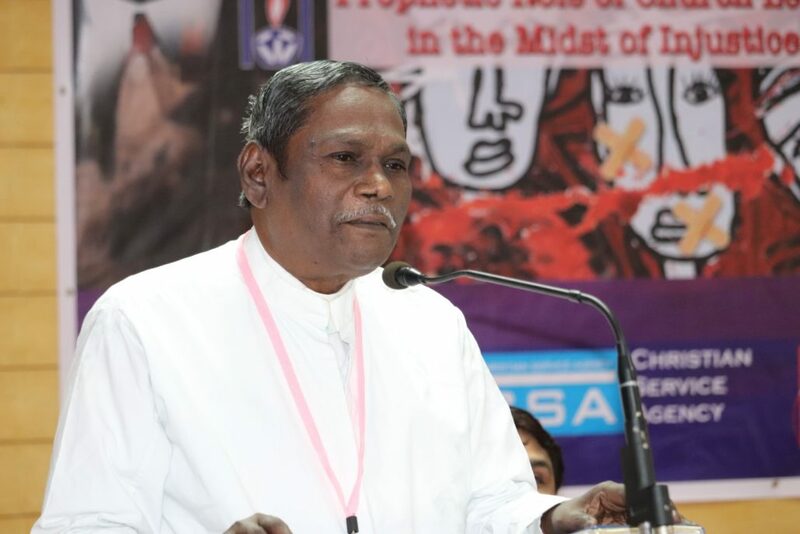 The issue of caste was very much prevalent even to ones who accepted the Christian faith and hence the efforts made by the missionaries towards demolishing the issue of caste was seen diminishing soon after the missionaries left their mission fields. Rev. 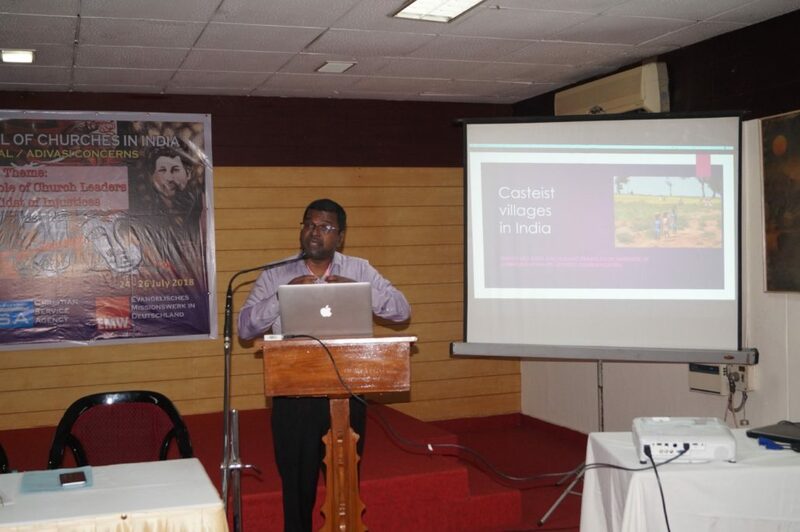 Biju Joseph shared the space and presented the paper on the Life and History of Tribal Church. 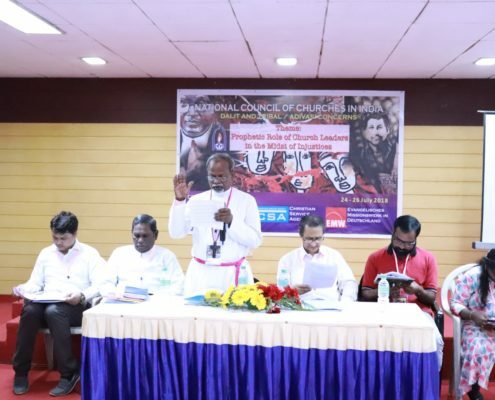 Rev Biju narrated the origin of Christianity in India with the coming of St. Thomas and how the tribal people were neglected initially, and how the gospel reached the tribal community through CMS Missionaries. Rev. 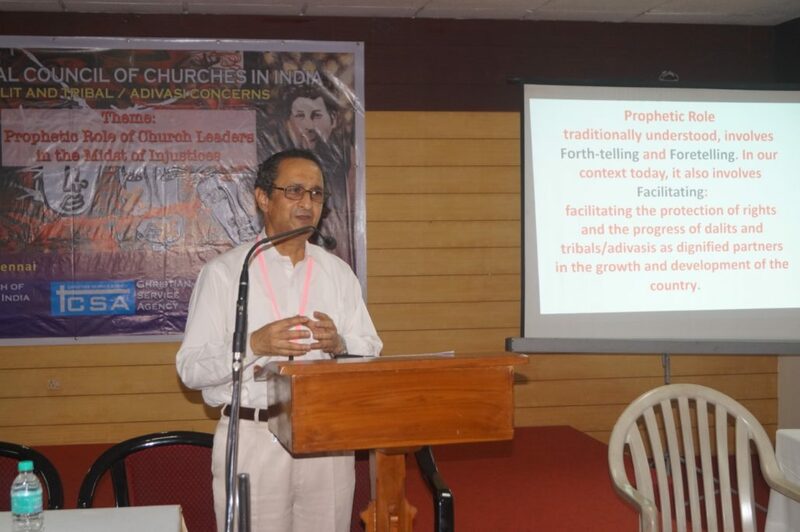 Joseph contemplated on the fact that Tribals are firm in their faith. 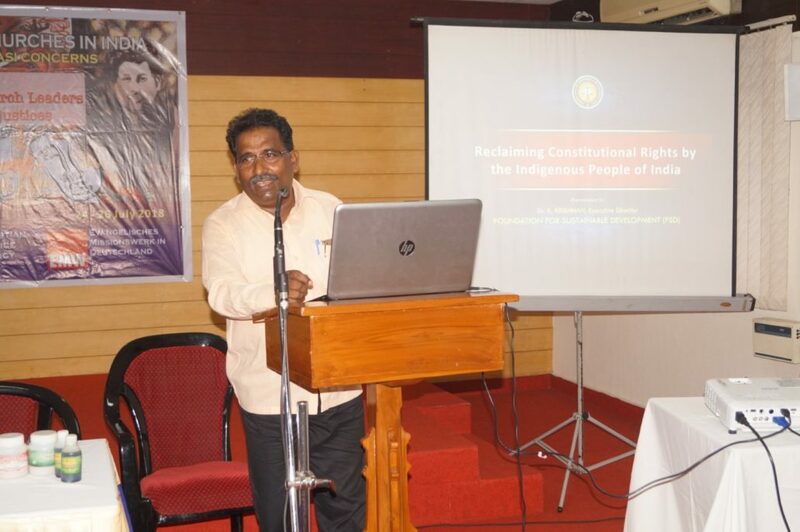 The second panel discussion on the topic Dalit and Tribal/ Adivasis: Struggle for reclaiming Constitutional and Democratic Rights were presented by Dr. K. Krishnan and Dr. Simon John. 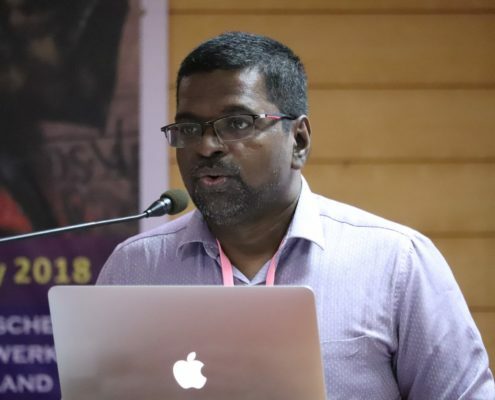 The first panelist Dr. K. Krishnan made a detailed study about the community of Tribal people and on what grounds they get neglected – In the name of development how they are exploited, displaced, discriminated, and marginalized. 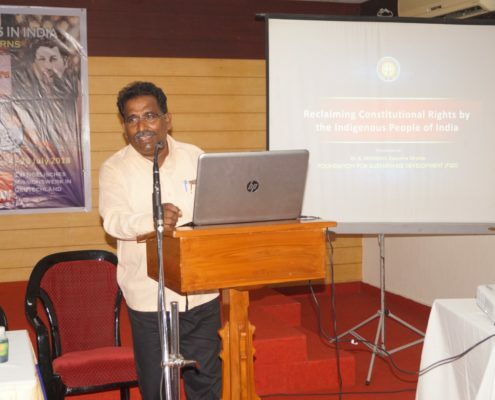 Dr. Krishnan highlighted the grey areas through which the Tribals and Adivasis are manipulated various places in India. 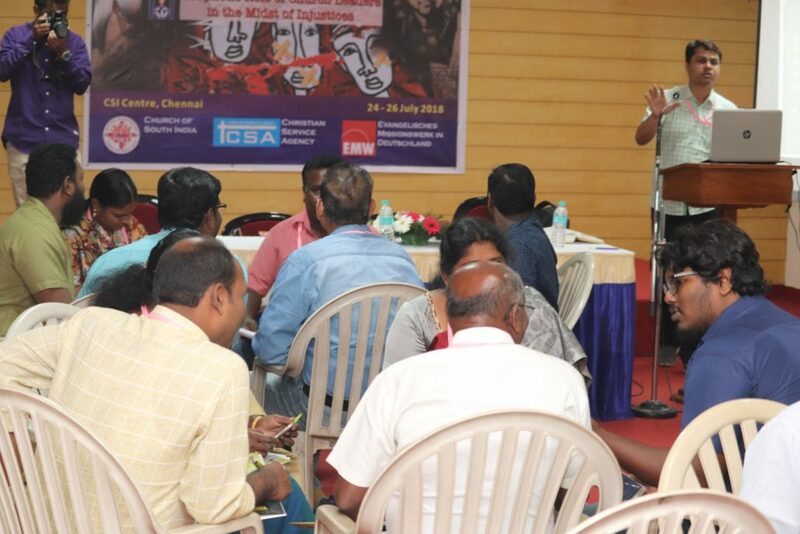 Dr. Krishnan concluded by reminding that the land, forest and the water are identity of a Tribal and Adivasi and hence they should not be manipulated at any cost. 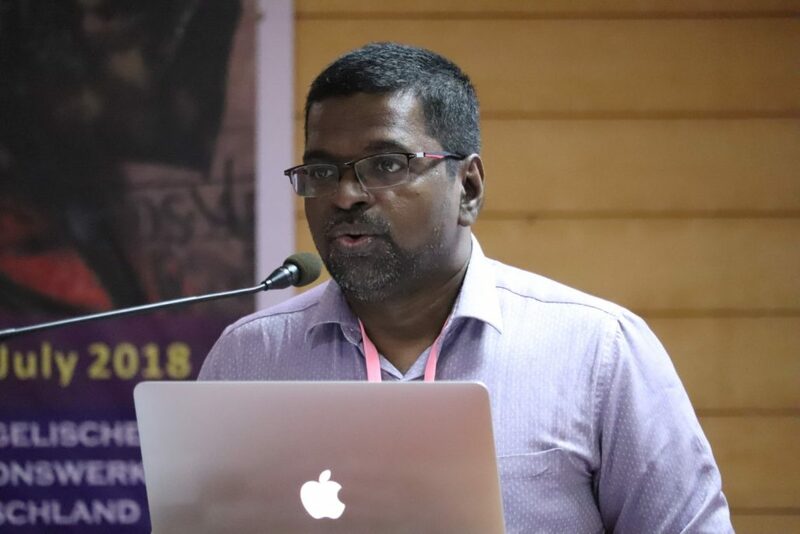 The second panel speaker Dr. Simon John spoke on the Imperial hanger over of the colour and semi racism that prevails among the Dalit and Tribals of India. 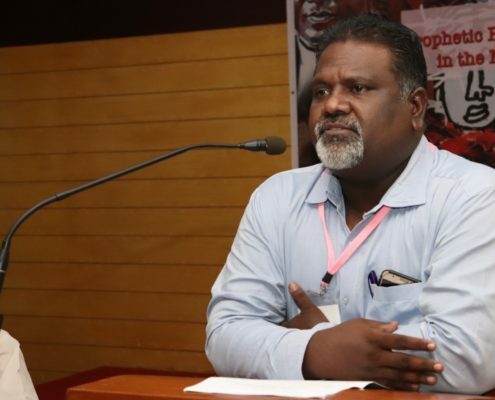 Dr. Simon John raised the issues about how Dalit people working in the government sectors are not sensitive towards their own brethren. 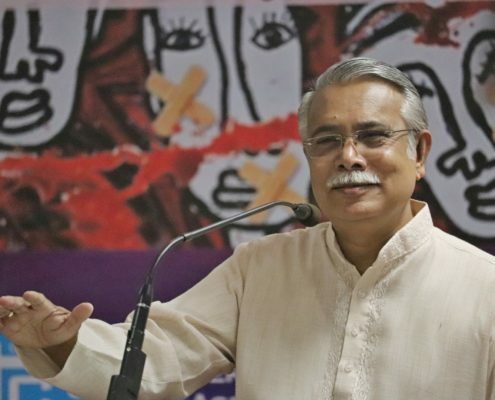 Dr. John also raised the issue of how government adopts the pseudo notion in becoming sensitive towards the issues of people from the margins and acts as a naïve person towards the atrocities committed on them. Dr. Simon John concluded his presentation with a quote by Martin Luther Jr. which says, “Injustice somewhere is threat to Justice everywhere”. 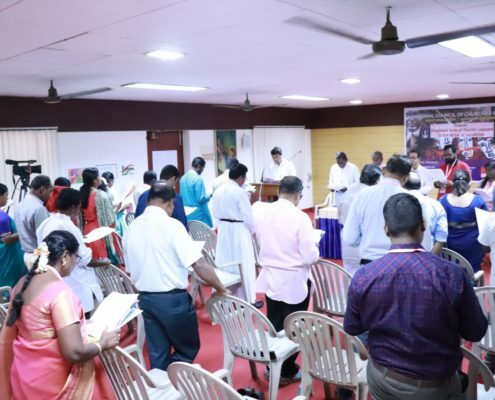 The second day of the Consultation began with the morning worship led by the and participants of Church of South India followed by the Bible Study which was led by Mr. Pradip Bansrior from the Old testament 2 Samuel 13:1-22. 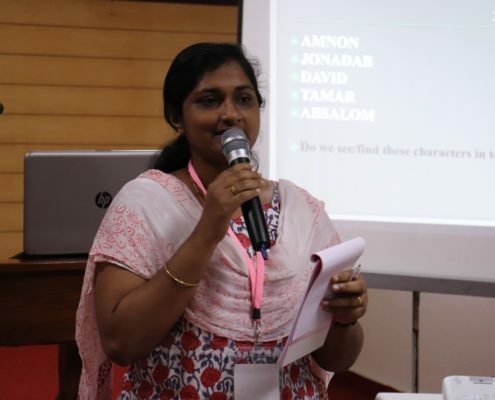 The Bible study wasn’t a monologue but broke the conventional patterns and changed into a group deliberation over the scripture by bringing and analyzing the 5 main characters of the portion i.e Amnon, Jonadab, Absalom, David and Tamar. 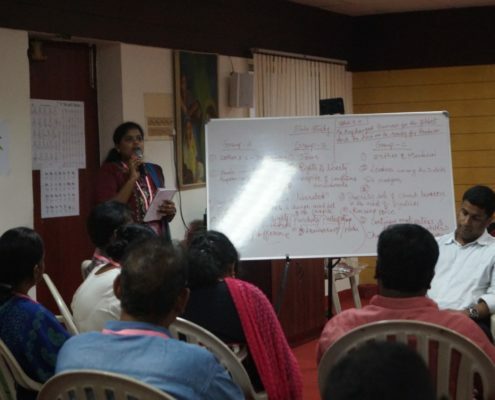 Each participant were segregated into 5 groups and brought distinct characteristics of each character of the portion and the issues of gender justice and its implications in the present context. 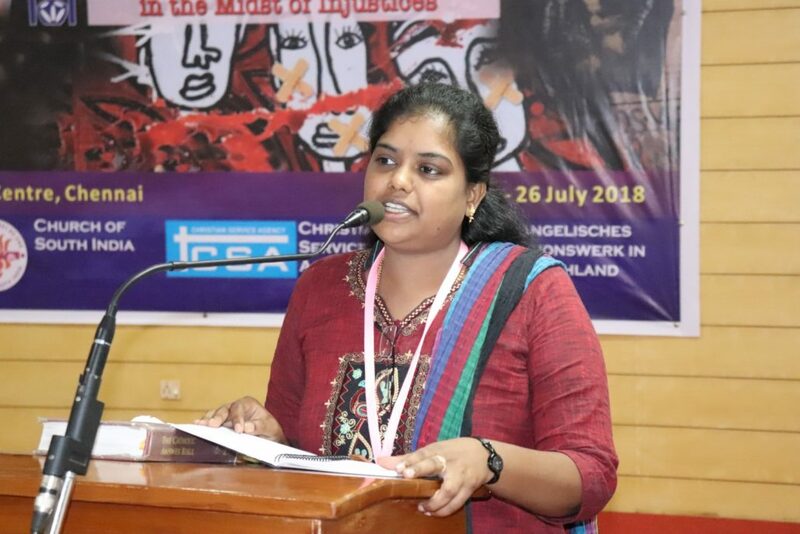 The panel discussion on Education, not Edu’caste’ion: From Exclusion to Inclusion: Church’s Response to the Caste- Based Discrimination faced by the Dalit/Tribal Students were given by Rev. Immanuel Nehemiah and Dr. Josemon George. The first panelist Rev. 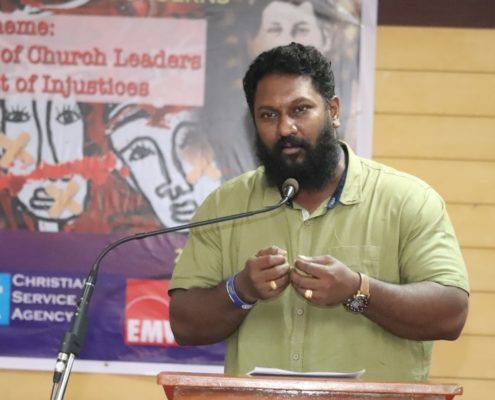 Immanuel Nehemiah in his paper highlighted the issues of pseudo-nationalist attitude created by the Political leaders and government officials in the country with the help of fringe groups and stressed on re-reading of the Bible from a point of view of neo-liberal Dalit theological stand point. 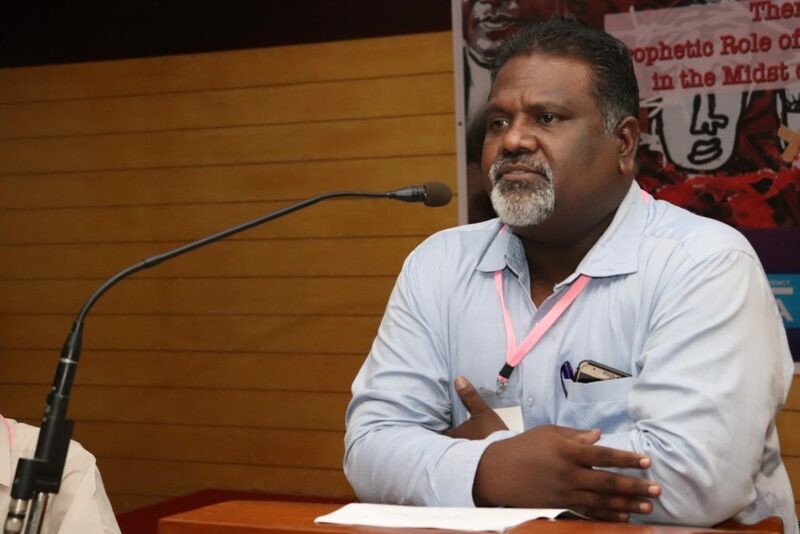 The second panelist Dr. Josemon George in his presentation brought out the issues faced by the tribal groups in the regions of Kerala and various other parts of India and highlighted the conditions which they are forced to face in terms of health care, education and economic instability. 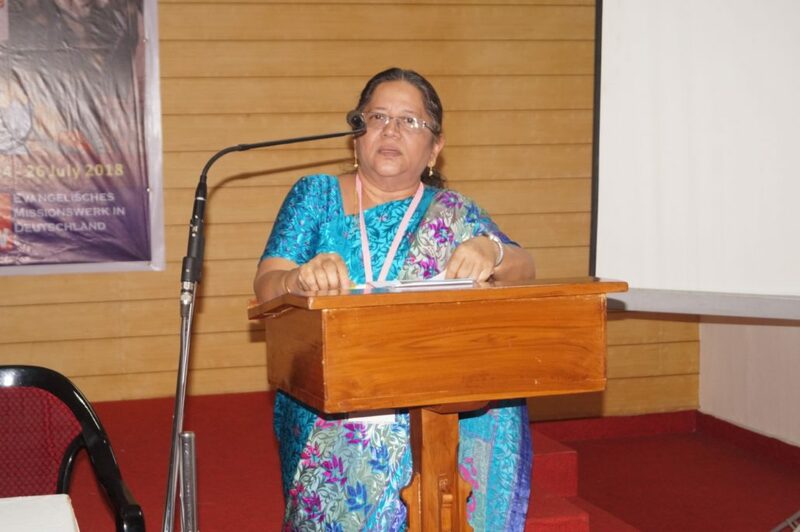 The second session for the day on the topic of Violence and Atrocities against Dalit and Tribal women and Children, was addressed by Dr. Esther Kathiroli. 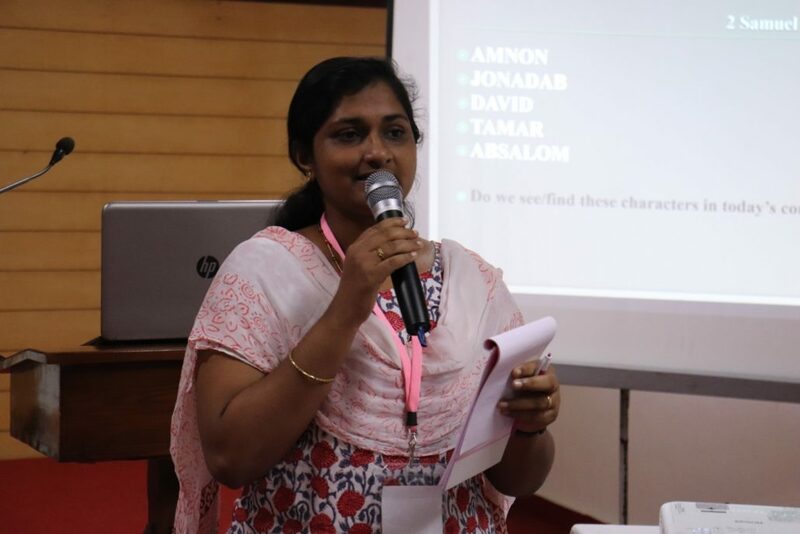 In her presentation, she shared the ministries and works of Tamil Nadu Christian Council along with the churches addressing the issues faced by the women in the state of Tamil Nadu and other parts. 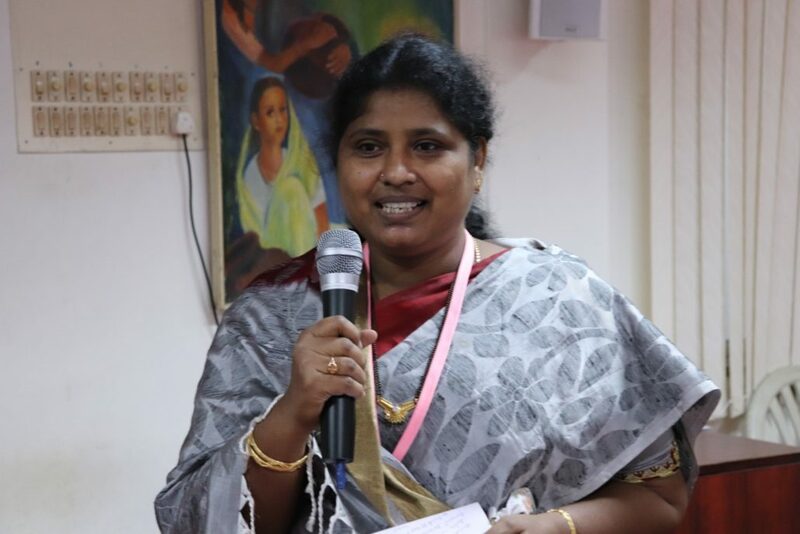 Dr. Kathiroli narrated the works of TNCC through testimonies and life stories of women and children who were benefitted by their ministries. 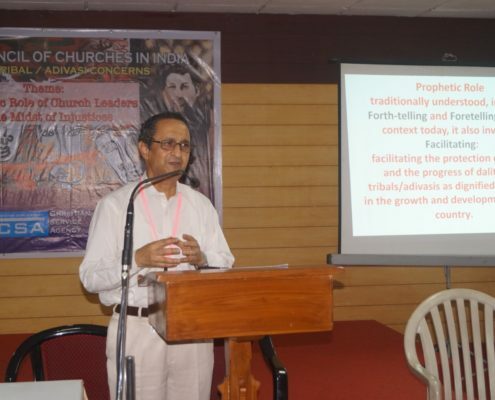 The final session of the day on Prophetic Communication: Mission of Dalit and Tribal Churches was taken by Rev. 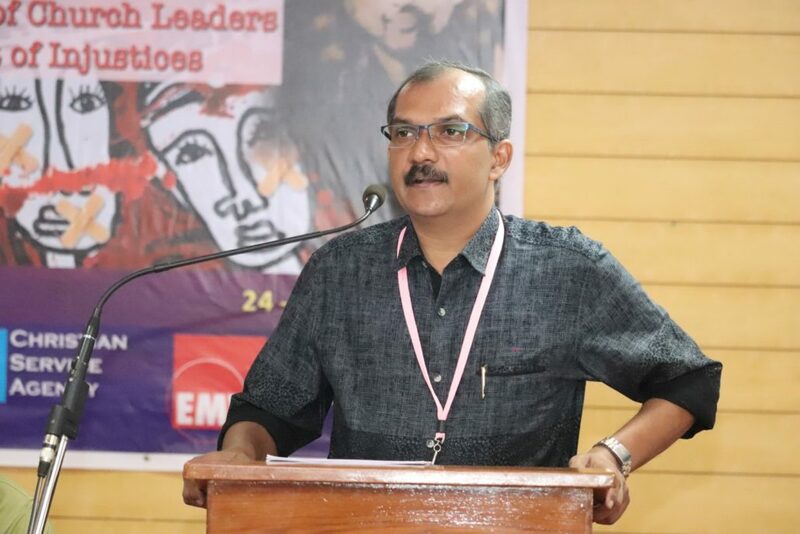 Sunil Raj Philip. 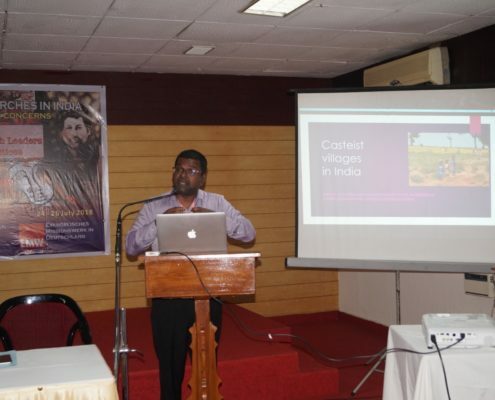 In his presentation he shared the initial use of the word communication and extricated the bemused understanding of communication and stressed on using it in the modern times in order to expose the realities faced by the Dalit and Tribal/ Adivasi people in the country. Rev. 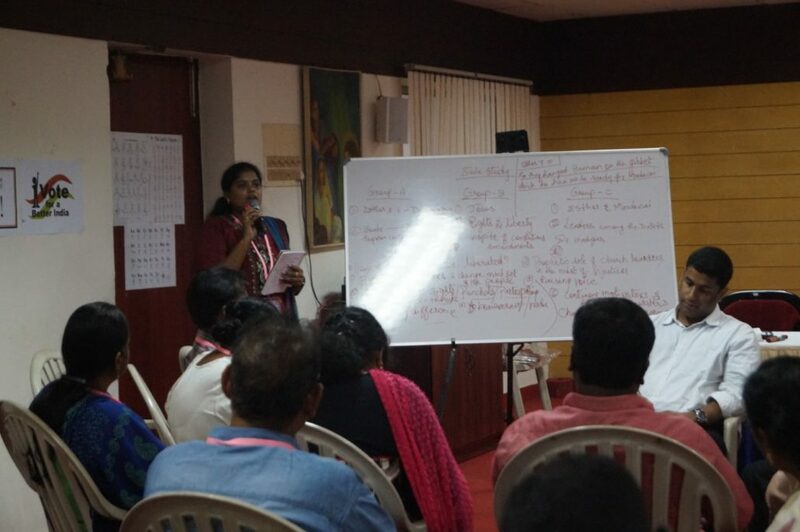 Sunil concluded the workshop by giving the example of Jesus Christ being the perfect communicator of all times. 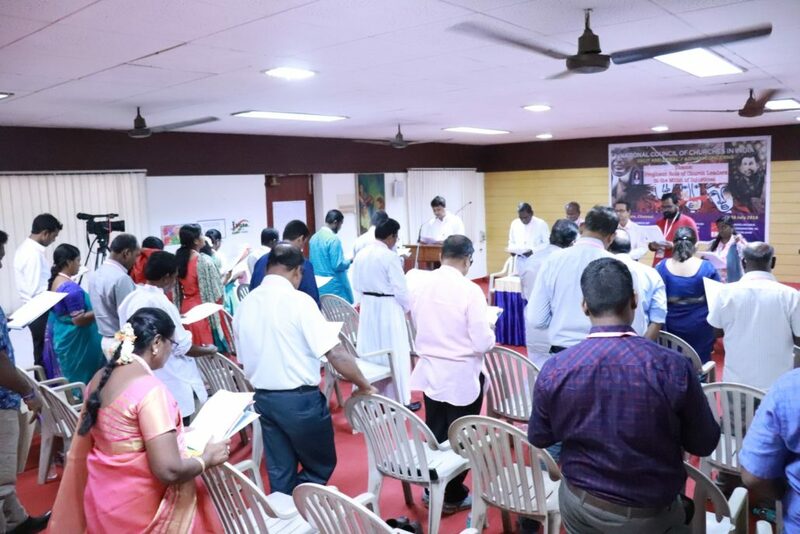 The third day of the Consultation began with the morning worship led by the participants followed by the Bible Study led by Rev. B. Asha who led the entire session in a non conventional genre of study. Rev. Asha accentuated on the book of Esther. 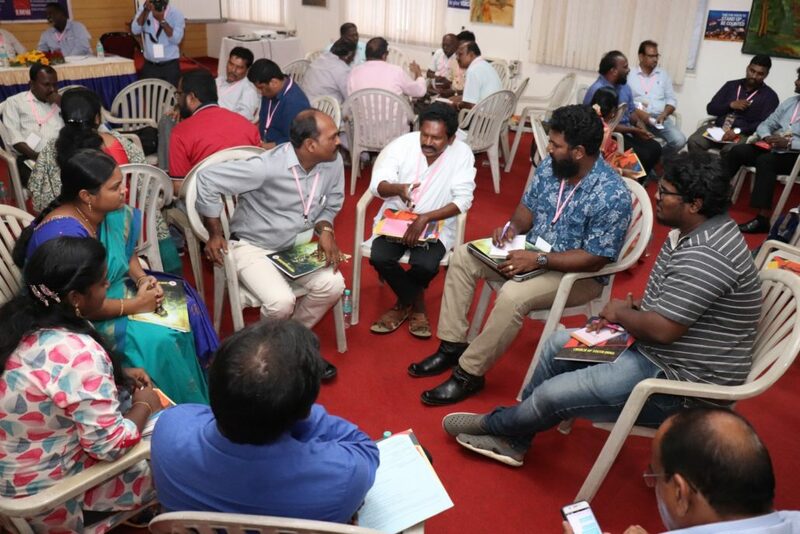 The delegates were divided into three group and each group was given a specific portion from the book of Esther to ponder on and two questions to be answered. 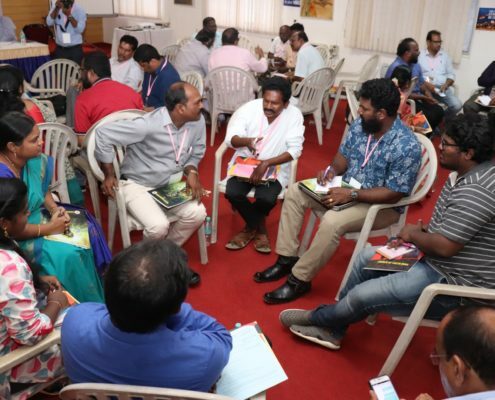 A successful deliberation was done which brought out the solution regarding how the subjugated can be liberated and what the prophetic response as the leader of the Church is. One of the key messages that we could learn from the Bible Study was that prayer is the key weapon to win over the atrocities and that we must not remain silent against the crimes of discrimination. In the final session, the Statement of the consultation prepared by the Statement Drafting Committee was presented on the basis of outcomes of the sessions and group discussions. 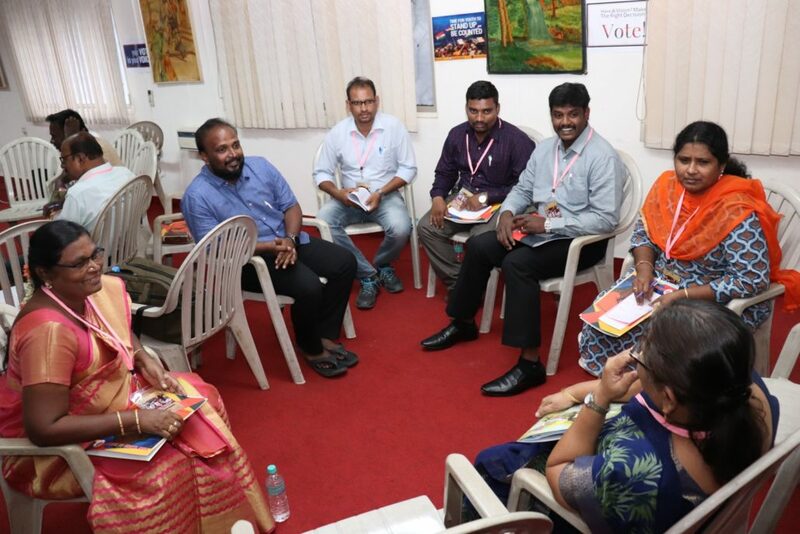 It was reviewed and finalized by the delegates. 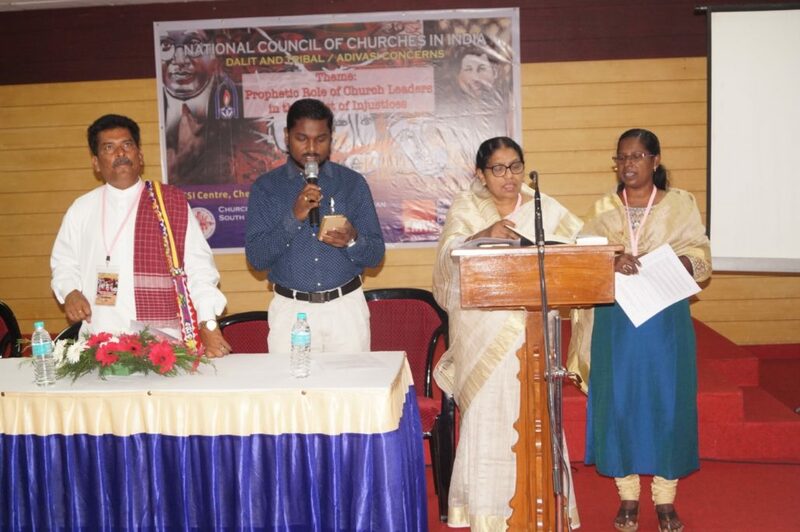 The Valedictory worship was led by Mr. Saurabh Khobragade and the reflection was given by Rev. 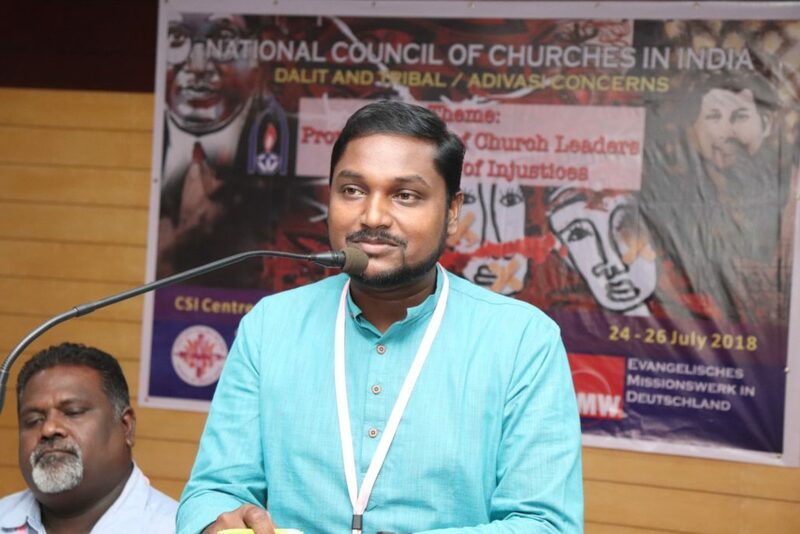 Dr. Daniel Rathnakara Sadananda – General Secretary, CSI and Vice President of NCCI. He gave a brief reflection from Ezekiel 34:17-22. 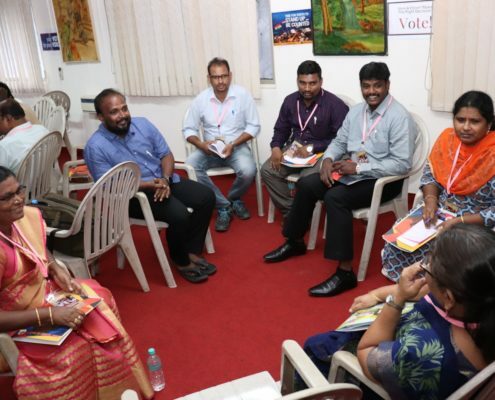 The entire learning of the three day brain storming session was consolidated in his valedictory message to the delegates. Rev. 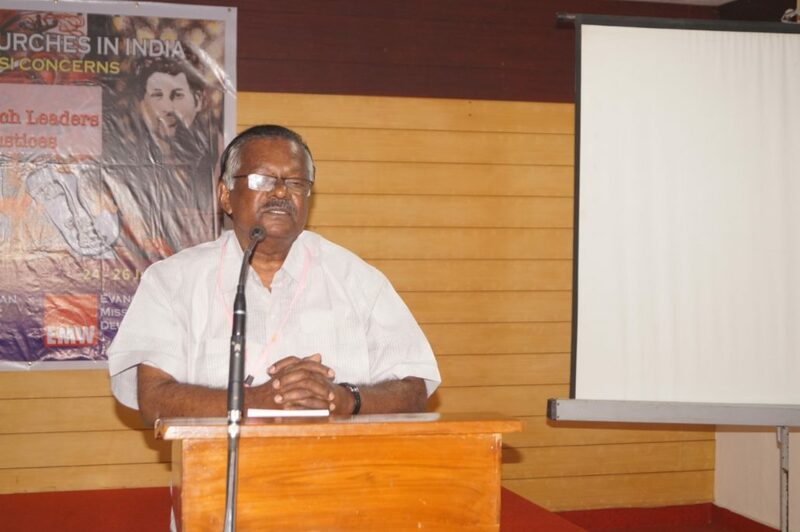 Dr. Sadananda reminded who is a pastor and defined its role through metaphoric comparison with the Shepherd. 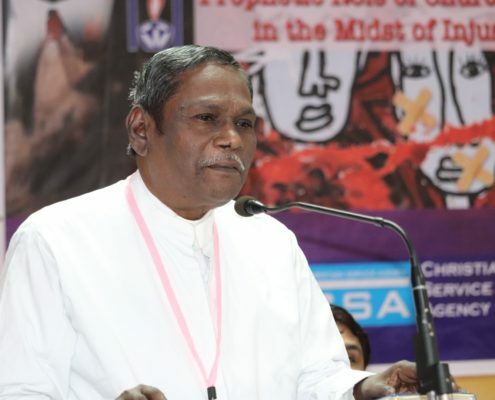 The role of today’s shepherd is to combat lynching and mob killing. Just as shepherd protects the sheep from of dangers, similarly the pastor is expected to be the bulwark for the believers against all challenges and atrocities arrowed to them. The consultation concluded with vote of thanks offered by Mr Pradip Bansrior and the closing prayer and benediction were pronounced by Rev. 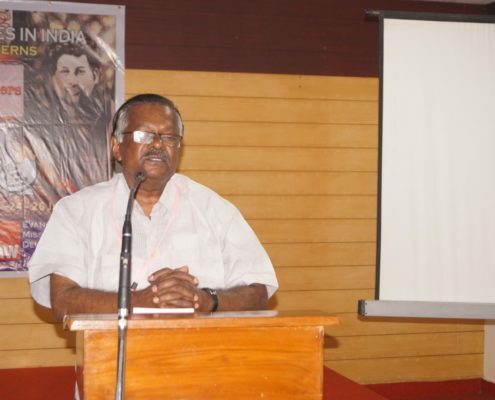 Dr. Daniel Rathnakara Sadananda. 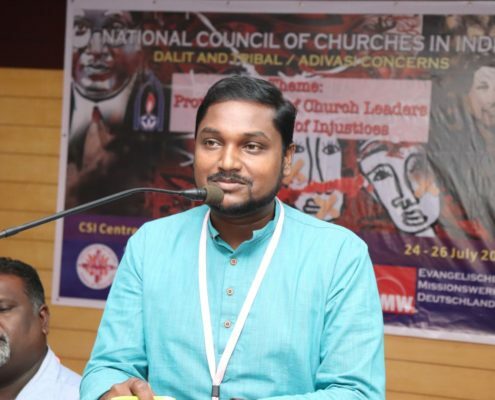 NCCI Dalit and Tribal / Adivasi Concerns.